Just How Important Is a Flip-Out Screen? 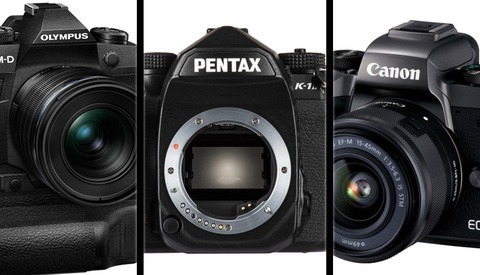 Every new camera release sparks a conversation about features, with today's biggest concerns often being the number of card slots and the crop on the 4K. The presence of a flip-out screen also seems to be near the top of the list and while it seems to be critical for vloggers, just how important is to the rest of the camera-buying public? Much of the chat surrounding the recently-announced Sony a6400 was the flip-out screen or lack thereof. Rather than giving users a fully-articulating screen that flips out sideways, Sony presented the world with what many users regard as something of a bodge: a screen that flips up vertically, ready to be obscured as soon as you attach a gun mic to the hot shoe. The perfect vlogging camera still seems a little way off, certainly until later this year when we finally discover what Sony has in mind for the a7000, if this camera is in fact real (some suggest that it's purely the optimistic fabulations of those running the rumor sites). Given the rapid advances in technology, the chatter is enough to make you question how this perfect camera doesn’t already exist: affordable, lightweight, 4K 60, mic input, in-body stabilization, solid autofocus, all coupled with a small, ultra-wide lens with a huge aperture so that you can film at an arm’s length while making the background nice and blurry. At every turn, there’s a drawback: the 4K crop is too severe, the recording limit too short, the autofocus too shoddy, the mic-input omitted in order to nudge you towards more expensive, heavier bodies — the list is endless. Just as one manufacturer seems to be on the edge of delivering what we need, it drops the ball. If simply to satisfy my curiosity, I’d be grateful for your feedback. Please vote in the poll below and leave your thoughts in the comments. Just be careful: if the majority say that a flip-out screen is not really that important, the manufacturers might take heed and we then risk upsetting our favorite photo industry vloggers for the next decade or so. And let's be honest, while the Northrups can probably keep it together, Camera Conspiracies is grumpy enough as it is. Lead image by Sandeep Swarnkar via Unsplash. If your camera will be marketed or considered to be used for video. It should have a fully articulating screen. Or flip-up but put the hot shoe to the side. And maybe give us a headphone jack, because people like audio. Headphone jack for sure, flip out screen for anyone who just wants to operate isn't AS critical. Although it comes in handy in certain framing situations where you want to see the frame in a tight spot in a compromised position...but there are monitors for that. For stills photography, a fully articulating screen is not a must IMO. If manufacturers are catering to videographers however, that should definitely be included, especially if all the other specs and features of the camera are where they need to be to attract videographers. I've been wanting Canon to come out with a Full Frame pro body with an articulating screen since I got my hands on a Canon t3i. 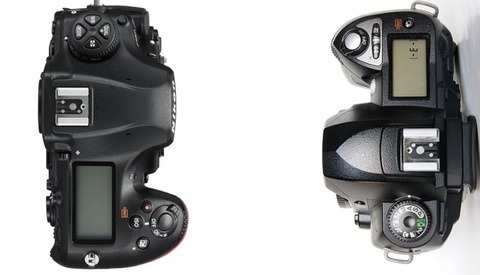 I was hoping the 5D iv would have an articulating screen but nope. I knew the 6d mk ii was going to have the articulating screen, was really hoping for 2 memory slots but nope. Full frame with dual memory card slots and articulating screen. Is it that hard?! Seriously. For a lot of my work, I can'r miss it now. Well, I wouldn't die, but you know what I mean. Simply being able to flip it horizontal when on the tripod is fabulous. Proper spinny-roundy narcissistic stuff, I don't need that at all. Where one comes down in this debate probably depends on which side of the camera one stands. Wouldn't it make sense for a good vloging camera to have, in addition to the screen, the controls on the same side as the lens as well? I have no idea why people write off articulated screen as not being important if you only shoot stills. If a person do not shoot at very low angles (like, just a few inches above ground) then his or her opinion is already irrelevant. I do that a lot when combining scale model or miniature photography with outdoor photography. They're are occasions where I suspend my camera only 2 to 3 inches above a water surface using a reversed tripod. It's impossible to compose the photos perfectly without a flip screen. I wish more camera manufacturers would do fully articulated screen and not just a flip up screen. All these complaints are silly. Vloggers want a fully articulating screen and cry when they don't get it. Photographers want in body image stabilization so they can handhold long lenses at twilight. They cry when they don't get it. We can make a long list of stuff we want and we don't get it on the camera we desire. No manufacturer is going to give everybody everything they want in one body. However there is likely a camera out there with that most import (to you) feature. It might have a couple of other features you like. So go buy that camera. Griping in useless. Considering that some other manufacturers have very good weather-sealing and fully articulated screens, I wonder if Canon doesn't have this on pro bodies due to some marketing-droid rather than it being an engineering/pricing decision. To be fair, that does require a third hand... Or a phone mount attached to the hot shoe. Flip-out screens do involve compromises, as do articulating screens - The question is which compromises are you prepared to settle for. Personally, I'm on the fence about artic vs flip. I used to have a Nikon D5100 and the best thing about a fully articulating screen that no one ever mentions is it protects the screen 100% when you flip it closed. It’s the best feature and one that I would think they would want to offer to everyone. Especially on budget or travel cameras. At this point no company states what the drawbacks of having one are. Sony claims it would have added to the size of the 6XXX series and that is fair. They want small and their market research probably showed that outweighs the flip. So they went up with it. And honestly people are making waaay to big of a deal for something a five dollar bracket can fix, In terms of the hot shoe blocking the screen. Even the new gorilla pods are literally designed with a perfect solution for your mic mount and every vlogger uses some kind of tripod thing. But really cmon, it adds more then takes away 99% of the time. It can only help at this point to give people options. A tilting screen is fast to reposition and can be done without significantly shifting my grip on my camera. You can hold it with basically the same grip because you don't have a screen sticking out of the left side where you might have had your hand. And it can keep the body smaller because you don't need the hinge to the left of the screen. When I shoot high and low with my A7iii I can pop the screen out with my thumb as I'm moving the camera up or down. It's way more fast and efficient than a rotating screen. We don't need every camera to have a flip-out screen, we really just need ONE. Just give us ONE with 4k and good AF. You non-vloggers can have every other camera. I think it could be taken further than just the screen. Give the vlogger controls optimized for vlogging/ standing in front of the camera. Designed so you never have to run around behind the camera to change anything but can do it from where you are. Zoom, focus, record/stop, pan/tilt, follow-me (like some drones), settings, remote/on camera lights and microphones, perhaps simultaneously broadcast, a truly dedicated vlog camera that you could control with a dedicated remote or smartphone - it would seem to be a killer device. It always seemed to me that the needs are much more than an articulated screen. Note: I’m not a vlogger or even a videographer. 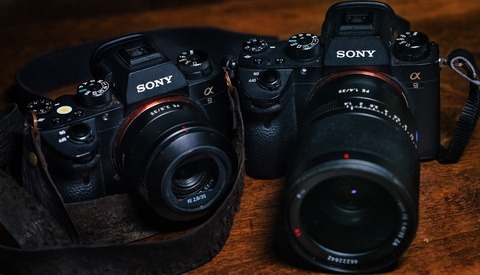 How about Sony make two versions of the A7000: A7000FU and A7000FO. This should please Sony flip-out ambassador Usman D. and the rest of us can go about our day making pictures. Not a vlogger..rarley shoot video. When you get old and your knees say "Umm Nope" to a very low angle, the articulated screen becomes important. Yes I could sit or lay down, getting up and back on your feet becomes an awkward looking process. Irrelevant, I need my Atomos anyway for serious video and its position on top of the camera is much more convenient that a screen flipped to the side. But Atomos would get in the way of the mic and ruin your vlaudio? Yeah it adds to the weight, but if you're serious that shouldn't really be an issue. There are only two use cases for me: low and high angles. A fully articulating screen makes both more inconvenient to use (compared to a simple tilt screen). Where's the "It's a negative" option? The screen/back of camera integration idea causes problems. The ultimate expression of this is the smart phone which I find awful to use as a camera. The next worse cameras to use are those where fixed non-hinged screens are the entire back of the camera. A hinged screen on the side is much more useful. A side screen doesn't need to flip out of wasted space on the back of a camera. The side-hinged screens that store on the back of the camera are just as bad as fixed non-hinged screens when they are not flipped to the side. 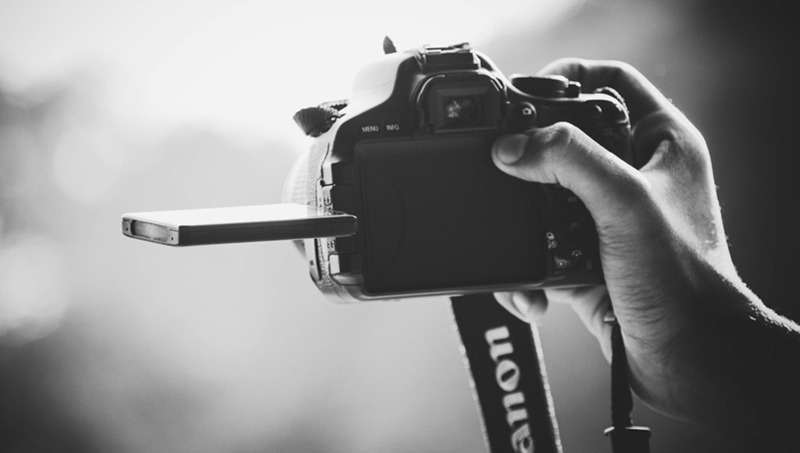 I used to be a photographer and cinematographer, —that's right…. “cinematographer,” not videographer, as there is no such thing— but decided that, since I cannot do both at the same time, and most people who want a cinematographer also want a photographer, I thought I would stick with photography and leave the cinematography to someone else. There was a time, a long time ago, when I knew more worthy photographers than worthy cinematographers, so I was typically the cinematographer, and someone else would be the photographer. Those days are as over as VHS and Betamax. That being said, I do not care if my camera can do 4k at all, much less if it is cropped or not. If I do ever want to do cinematography, I have a video camera for that. Yes, in a pinch, I might use my DSLR as a backup, or secondary video camera, however, that is not why I bought it and I really did not check the video specs when I bought it. I really did not care. Why? As stated, I cannot do both video and still images simultaneously, and since I will be doing photography, I wont be doing cinematography. Yes, there are vloggers out there, and yes, they, too, cannot simultaneously do both. They may switch from one to the other, but most, (like Northrup & Heaton, to name a couple), typically film with one camera, (a Panasonic or a Canon, respectively), and shoot with another, (Nikon mostly, or ?? ?, respectively), but never filming video with the camera they are shooting stills, as it just cannot be done simultaneously. They both chose their vlogging cameras based on their ability to do video, but choose different gear, and differently capable gear, to do photography; gear better suited for photography. Yes, both sets of gear can do the other task, but one is better suited for stills, and one better suited for video. So for my photography gear, dual card slots are great for redundancy for disaster preparedness & litigation, and an articulating screen is nice for tight spaces or weird angles. 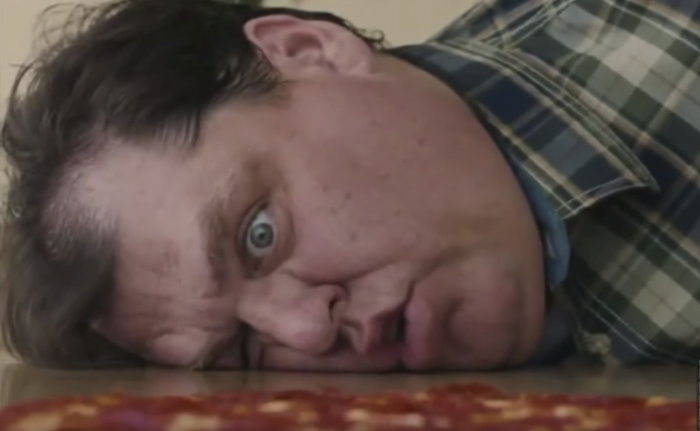 4k video at 120fps progressive with a 36,000 bit-rate, H.265 encoding uncompressed??? That is what my video camera is there for, therefore I don't care. I have used my camera at low angles where a rotating screen would have been helpful.